Summer is upon us and with it comes the HEAT! 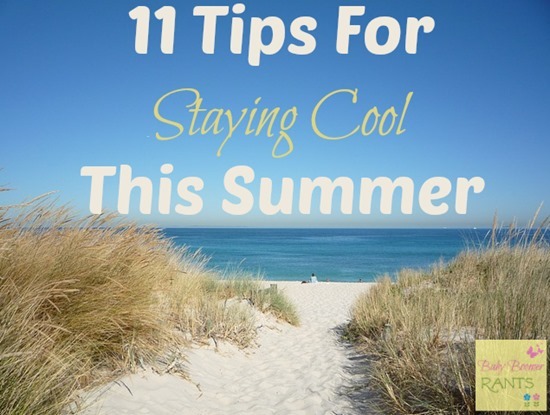 My local Police Department shared 11 Tips For Staying Cool This Summer and I wanted to share them with you. I grew up in Jacksonville, Florida (in an area called Arlington) and now I live in Arlington, TX right between Dallas and Fort Worth. I remember all my life that Florida was warm… but, I spent one summer in Fort Worth as a kid and NEVER forgot how hot it was! I got blisters on the bottom of my feet walking barefoot outside – that would have NEVER happened in the part of Florida I grew up in! It’s a dangerous time of year for kids and adults alike and there are things that we can keep on the forefront of our minds that will help. Check this list out and keep your loved ones safe! 1. Be aware of effects when exposed to the heat. Pay attention to it and adjust your activities appropriately. 2. Take note of your hydration status, and be sure to drink plenty of fluids. 3. Try to stay in relatively cool areas (even when outside). Many public places such as libraries, shopping malls, and movie theatres are air conditioned. 4. Avoid hot enclosed places, such as cars. Never leave children unattended in a car parked in the sun. 5. Keep and use a fan, if available. 6. Stay on the lowest floor of your building (heat rises). 7. Eat well-balanced, light, and regular meals. 8. Wear loose-fitting, lightweight, and light-colored clothing as much as possible. 9. Cover windows that receive a significant amount of sun with drapes or shades to help keep your house cool. 10. Weather stripping and proper insulation will keep cool air inside your home. 11. Cool beverages (preferably water) are good for cooling down the body. Be mindful that alcoholic drinks can impair the body’s ability to regulate its temperature. 7. Becoming semi-conscious, or passing out. If you have more tips for keeping safe in the heat of summer, please leave a comment and let us know!